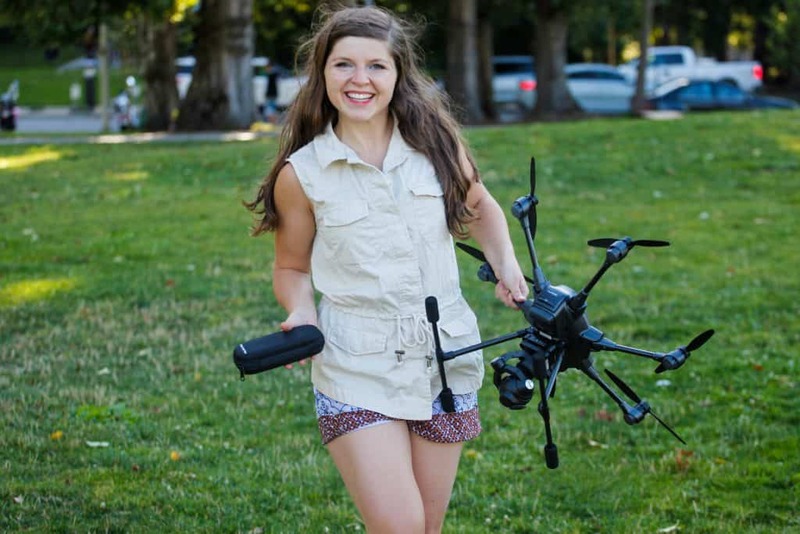 Flying UAVs is a fun and exciting hobby that can involve getting the entire family outdoors. UAV is short for Unmanned Aerial Vehicle. It’s a subset of RC, or Remote Controlled toys. This toy doesn’t require any connecting cord to be attached to it, and its motions are controlled with a separate radio control unit or a smart device, such as iPhone, Android, or tablet. While UAVs are great fun, they can comprise any type of flying toy. To be more specific, quadcopters have been taking over the hobby, and they’re flying off the shelves faster than a plane or helicopter. Many people also call these toys drones, particularly when they want to make them look more cool and professional. Often you’ll see the words quadcopter or drone used interchangeably. Another cool new toy gaining more notice are tricopters. You may be more familiar with their functions in the commercial industry, but there are many other cool toys to buy too. Cheap tricopters can be purchased to try first, to see if you enjoy flying them more than quadcopters. Besides looks, there may be other differences between the two. Tricopters were more popular a couple of years ago before the technology for quadcopters was able to extend their flight times and range. Today it’s worth noting both types of drones to compare features. It may be worth examining the differences between both of them. For the true RC hobbyist, they’ll likely already have one or two flying around anyway. The main difference you’ll notice between a tricopter and a quadcopter is that they have a different number of rotors. A tricopter has three, while a quadcopter has four. Besides this main difference, a copter can look like a helicopter, a UFO, or any other type of flying device. Just like the DJI Phantom 2 differs so vastly from the UDI U818A-HD, two tricopters may also appear vastly different from each other, except for those three rotating blades at the top or sides. Some tricopters may be made as toys, while others may have gimbals attached so that you can shoot professional quality video. There are some that you can even attach your own gimbal, and choose your own camera. 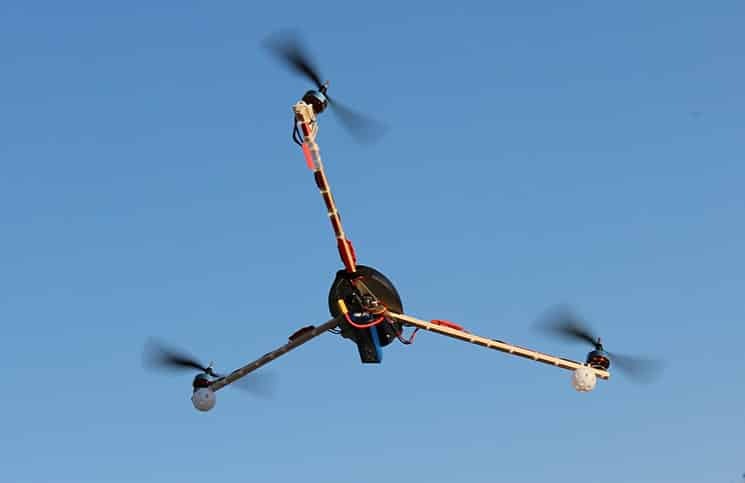 Many tricopters look more like the traditional helicopter shape while a quadcopter has its own unique style. Choosing a tricopter over a quadcopter may be simply due to personal choice. You may find more tricopters are marketed as UFOs or helicopters, whereas quadcopters are a vehicle in their own right. When you’re observing the differences between tri and quad you may also notice one other difference. With a quadcopter you’ll notice that the four rotating blades are usually either above, or to the immediate sides of the main body frame. These four blades are spaced equally apart from each other. But on a tricopter often there will be one blade to the front or back of the main body, with the two other blades to each of the left and right sides of the tricopter. One of the tricopters, such as the Cheerson may have been able to engineer theirs with the rotors more equally spaced apart around the central body, but you’ll still notice that the forward or back rotor is distanced slightly apart from the others to provide that additional thrust. But it’s certainly a rule that can be broken in this tricopter configuration. When shopping for drones you’ll have to weigh the advantages and disadvantages to choose the best for your flight purposes. Now that you understand the main differences between the two vehicles, it’s time to compare other characteristics to see the main advantages and disadvantages between the two. Since there are many more quadcopters being sold in stores that previously had an abundance of flying helicopters, spaceships and planes, you’ll want to carefully access these differences to see which is right for you. It may also assist you with buying a gift, as one may suit a child more than another, or perhaps an adult would have a preference of one over the other. One other notable disadvantage of purchasing tricopters is that they’re harder to find. You may have noticed that you never see any on the shelves at Best Buy or ToysRUs, or even your local RC toy shop, but usually toy planes, helicopters and quadcopters are in abundance. Even if you do a search on Amazon, most likely you’ll see the same three brands over and over again, amidst an awful lot of kits offering tricopter frames and parts for sale. You may actually have to hunt down these drones on the manufacturer’s websites in order to place your order. Most people unanimously agree that the tricopters simply don’t achieve the performance of the quadcopter. It stands to reason as there are only three blades and motors in a tricopter, and not four, like in the quadcopter. These means that there is less thrust in the tricopter than in the quadcopter. That means a slower, less powerful performance. These three blades and motors translate to a slower speed and performance level. While this may be an issue for an expert, the beginner may love this as a feature as they can control the quad more easily, and keep it within a viewable flight range, rather than a faster quad that may fly out of range too soon. For this reason many people may wish to choose a tricopter as a gift for children, rather than a quadcopter. In fact, quadcopters are often seen as toys for adults, due to their reputation as a fast-paced flying toy. Because of this lack of performance, the tricopter is often only available in smaller sizes, and not the larger sizes that you can buy quadcopters in. 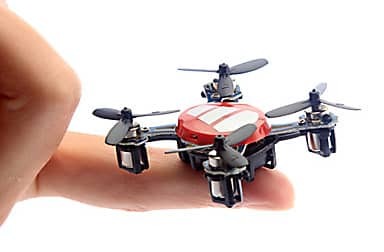 Tricopters are also not as popular a purchase as a quadcopter, so many people can overlook them, much like a quad collector has outgrown an RC plane or helicopter. Perhaps one day tricopters may make a reappearance on the market. If so, they may have as many amazing features as quadcopters can have now. One main disadvantage of the tricopter is that it may be more difficult to discern which part of the copter is the nose, or basically, which end should be facing forward. A pro may quickly get it, but to the beginner, they may be confused as to why the controls of the radio controller aren’t operating the way they should. They want the drone to fly forward, but it flies sideways instead. This is often because the drone flies in the direction that the nose is facing. A pro pilot will be able to sort out the direction in the air and compensate accordingly, but not the new beginner. Unless the tricopter has a headless mode function, which will enable the pilot to fly in a forward direction no matter which way the nose is pointing, flying a tricopter may be a bit more difficult until you figure out which way is nose forward. The battery technology is increasing, so a tricopter doesn’t necessary have a longer flight time than the quadcopter nowadays. Many of the tricopters and quadcopters have flight times of six or seven minutes, before they need to be charged up again. The tricopter might be a better toy for children or the occasional hobbyist. Most are built with durability in mind so they can withstand crashes. They are also lighter weight, so there are fewer worries about safety, particularly if there are several children in the yard. But since the tricopter is of a lighter weight, it may be easier to learn how to fly. This convenience gives it one advantage over the quadcopter. 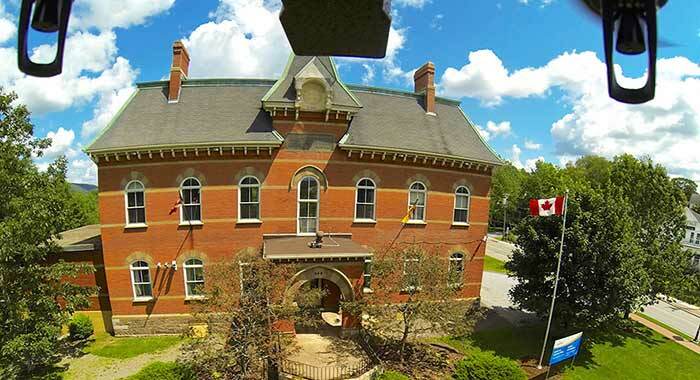 We must also keep in mind that quadcopters are also used as commercial drones, while rarely the tricopter is, so people may feel more comfortable learning how to fly a tricopter first. 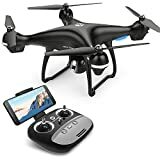 The price seems higher for a tricopter that has similar features to a quadcopter, especially since many quadcopters under $100 also include a video camera. This may be a result of tricopters not selling in the volume that a quadcopter does. If marketers can find a way to sell more tricopters in 2018, then their prices should come down a bit. It is also difficult to find an inexpensive tricopter that is priced under $50 today. At one time it may have been simple to find a cheap tricopter, but for some reason they just don’t seem to be around anymore. It’s possible you may find some old store stock with affordable tricopters if you’re really interested in learning how to fly one. Here is full list of tricopters available on Amazon. Both tricopters and quadcopters can be made in virtually any color of the rainbow. More common colors are white and black, but blue and red may be found too. Both are made from the same plastic carbon fiber materials. Just like with some models of quadcopters, the tricopter can also carry a camera. These drones can cost more money though, and may require the additional purchase of gimbal and camera. Both tricopters and quadcopters can have lights, but the newer LED running lights seem to be more common on quads, while tricopters seem to have larger light bulbs, if at all. This delegates them to mostly daytime flights, which should be fine for children or beginners who aren’t going to be flying a drone through the air in the evening anyway. There may not be as many tricopters on the market as there are quadcopters, but you can still find some great drones. 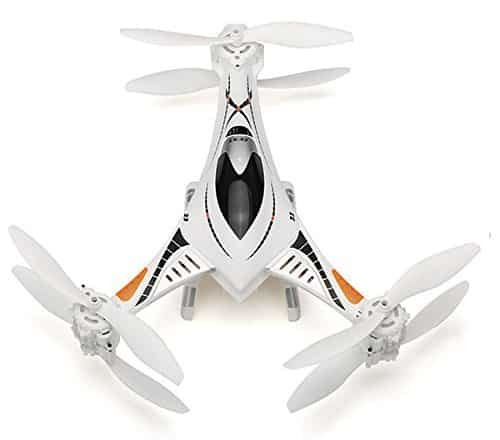 You’ll recognize some popular quadcopter manufacturers, such as Cheerson, who have their own version of the tricopter. 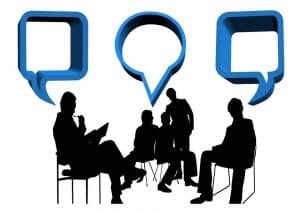 In order to find more, you may wish to check manufacturer’s websites to see what they have on offer, and then once you know name and model number you can begin your search online for the best price. There are also some other less familiar drone manufacturers, such as the Invader or the Chengxing. Most have similar features, while a few offer additional items such as a video or snapshot type of camera. You also have the option to purchase a generic assembled kit so that you don’t have to do any work at all. 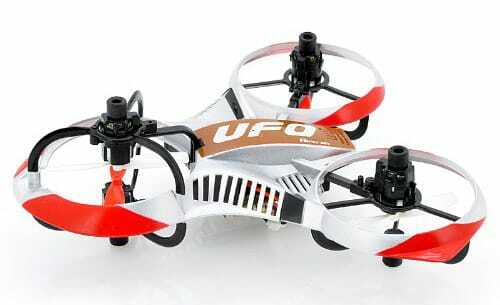 ; The manufacturers of the Invader call their tricopter a “UFO”. It’s made with a plastic white body and three circles protected within blade guards, evenly spaced apart from each other. The blades are black, with some red graphic details on the blade guard parts. Like most quads, the mini UFO Invader has a six axis gyroscope system. This has the ability to balance the tricopter while in the air. 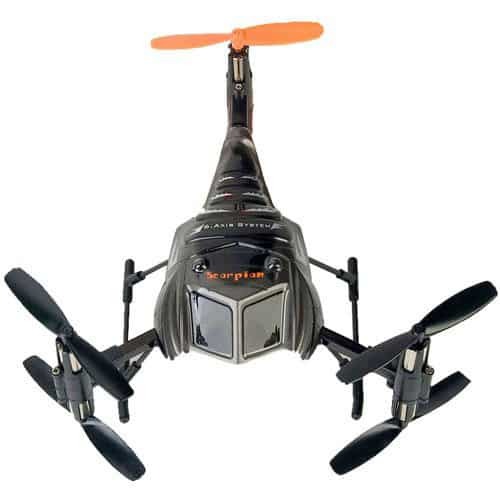 This tricopter is built with durable plastic to protect it from damage during bad crashes. The manufacturer claims that they’ve built this toy more durably than other similar drones on the market today. The Invader has a full size radio controller in a black and silvery white box with carry handle. The unit has a small LED screen on the bottom to help the pilot with discerning which of the controls are active. The controller uses a 2.4 GHz frequency, and has four channels. With the radio controller you can perform rise, decline, forward, backward and left and right flight options. You can fly the Invader out to a distance of sixty to eighty meters. You can also perform trick moves, including a 360 degree rotation, and also hover around a 360 degree circle. The price of the Invader is around $76. You’ll need to add four 1.5 volt double A (AA) batteries for the remote controller. It will take forty to seventy minutes to fully charge up this drone. You’ll then have about six to seven minutes of flight time. The Cheerson CX-33S comes with a camera and a radio controller unit with full color screen. It’s built with a video transmission system of 5.8G. There are two different flight modes: beginner and expert, so you can choose which one you’re more comfortable in. This drone is white with a darkened “cockpit”. This toy performs all the standard moves you expect. From ascend to descend, to forward and backward, left and right turns, and a hover mode. You can also fly it with a left sideways flying and a right sideways flying. You can fly it out to a distance of thirty to eighty meters. the Cheerson makes it simple to fly. There is one key that will enable take offs, and one key to enable landings. The camera has 2 megapixels and can take both snapshots and record video for upload to your computer. The drone has a six axis gyroscope that helps keep it balanced in the air and a gyro calibration function. The copter contains a sensor that notes high density air pressure, which helps it to keep its height and to hold in position. Within the Cheerson are six motors, which give it more power to take flight. The radio controller has the standard 2.4Ghz and four channels. It takes about 210 minutes to get the drone charged up, which gives you about six to seven minutes of flight time. You can control your drone out to a distance of about thirty to eighty meters. You’ll need to purchase batteries for the radio control unit. 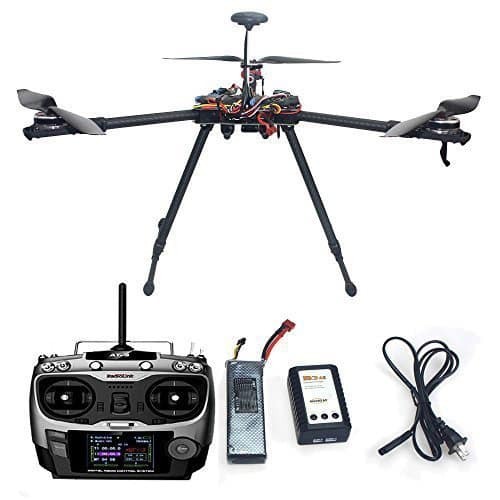 The Cheerson CX-33S tricopter can be purchased for around $180. In the box is the drone, the radio transmitter, one cable that connects to your computer’s USB port or the wall outlet, two spare blades and a user manual. The Chengxing Scorpion is a tricopter with a dark grey and black plastic body with a unique six blade system. However, it’s still classified as a tricopter, as the three sets of blades are installed one on top of the other in pairs. There is a grayed out area in front, presumably for a helicopter “cockpit”. There are four black blades, with an orange in the back to differentiate orientation in the air, and a white one underneath. The radio controller is made with a white and black plastic body with antenna facing forward. There is a small LCD readout screen on the bottom front of the radio controller unit so that you can see current selected settings. The radio controller operates at 2.4Ghz frequency. It has a built-in gyroscope to keep it flying through the air. The Scorpion is priced at about $65, making it a bit pricey, considering its few listed features on box. There is minimal building once you get the box home. You charge it up and it’s ready to fly. You’ll need to add your own batteries to power up the radio controller. It takes six AA (double A) batteries. The Scorpion is lightweight but durable. It may be a good option for beginners so you won’t be too worried if it does crash. The optimum age level is fourteen years to fifteen years old. The recommended flight levels are for beginner to intermediate flight levels. This tricopter has three long black arms, and sits on two long landing legs. The body’s mechanics are open, but you can add a plastic body casing if you wish. You also get a fully functional radio controller and cable in this set. You can add a gimbal if you wish, so you can add a video camera. Having a kit assembled for you can seem pretty pricey — around $500. Your kit will have an optimized central body that has been pared down to the basics to keep it lightweight. When someone else does this build for you, it will be more convenient. This drone has a tall T shaped frame. It has Hml650 gear. The motor shaft has a hidden design, keeping it protected, particularly when it may crash. This drone is built to be stable while even in flight. The radio transmitter is 2.4 Ghz with nine channels. The drone can be recharged with the included USB cable. The tricopter has a bulit-in GPS compass system enabling the radio controller to stay in contact at all times. The three motors are made with brushless disks. If you’re searching for tricopters, your three main choices are going to be the Invader, the Cheerson CX-33S or the Scorpion. If you prefer to get into building from kits, there seem to more of those available for sale online, including a wide range of parts. It may be easier to build a tricopter than a quadcopter as you only have to worry about three arms and not four, and also installing only three blades and not four. It may be a simpler solution to when you want to try a build, but you want something a bit simpler to make. Apparently it can be quite costly to have someone build you a tricopter. No matter whether you decide to purchase the best tricopter or to wait until more are available on the market, you’re sure to discover a fun and exciting hobby that takes you away from the TV or computer screen, and into the outdoors to enjoy fresh air and exercise. Interesting that there is no discussion about how TCs fly v QCs. I thought that would have been an obvious thing to mention over everything else you wrote. All that really matters is how they fly, if not as fast. Although I also read TCs can have bigger props and motors, so isn’t that debatable? The only way to know speed comparisons is to do some testing with comparable motors and props and see what happens.